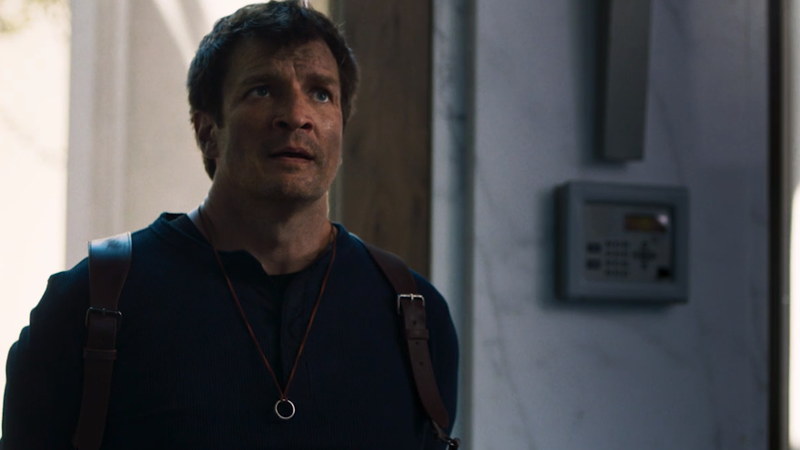 After years of demand, Nathan Fillion finally gets to become Nathan Drake in Uncharted. Fillion just dropped the film, simply titled Uncharted, on Twitter this morning. The 15 minute short—expressly presented as a fan production that has nothing to do with the ongoing Hollywood wranglings attempting to bring the Playstation franchise to the big screen—is directed by Allan Ungar, and sees Fillion’s Drake do what he does best: quip, shoot, and clamber his way through another zany hunt for a mystical artifact. Drake’s stalwart companions Sully and Elena (played by Stephen Lang and Mircea Monroe, respectively) also make appearances—because it wouldn’t quite be Uncharted without them—but it’s really a showcase for getting to see just how Fillion would handle the role, given how increasingly unlikely it is he’ll get the chance to play it in a blockbuster movie. Or seemingly how increasingly unlikely it is that there’ll even be that Tom Holland-starring blockbuster Uncharted film at all, given how little we’ve heard about it recently.